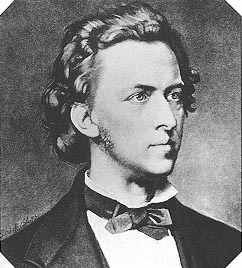 Chopinmusic.net calls this Grand Valse “one of Chopin’s most popular and glittering works.” We’re hard pressed to disagree. Click on the piano to hear Chopin Project pianist Jei-Yern Ryu perform Chopin’s effervescent Waltz in E-flat, Op. 18. Want to try playing it yourself? Download the sheet music here.